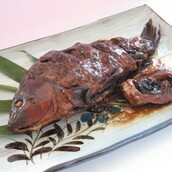 A product of Shinjiko Lake, steamed suzuki. 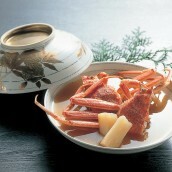 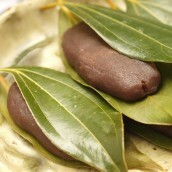 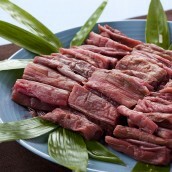 A food made with suzuki, one of the Shinjikoshicchin (Seven Specialties of Shinjiko Lake). 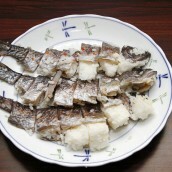 Once upon a time, then feudal load of Matsue domain, Fumai Matsudaira saw fishermen grilling fish and eating them, and asked to share some with him. 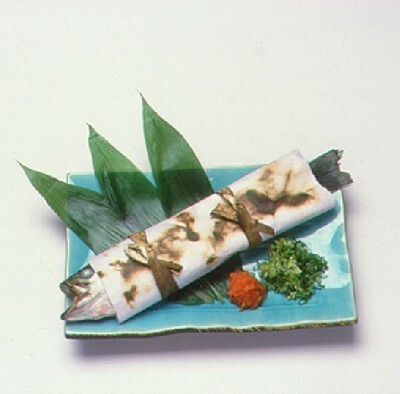 Fishermen thought that it would be too rude to give fish with ash on it, and wrapped fish with paper called "housho" and grilled it to give to the lord. 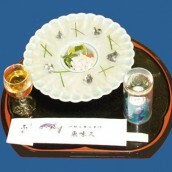 The fish was so delicious and Fumai Matsudaira liked it so much that it was cooked only within Matsue domain since then. 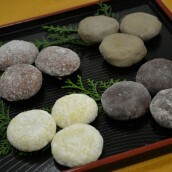 It is known that ordinary people never tasted it until the Meiji Restoration.